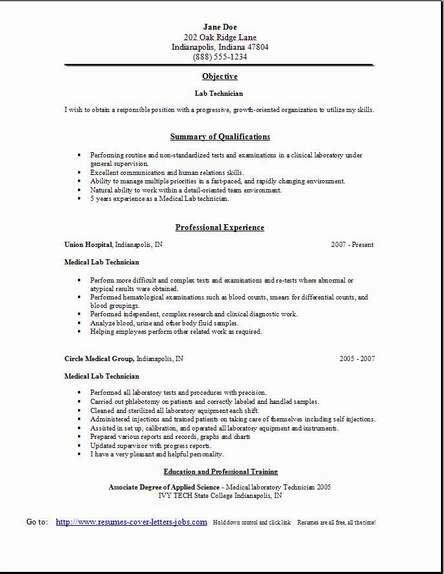 Here you have the choice for downloading, 3 of the most used resume formats to aid you in creating a professional looking resume. You can create it, by starting today, and amazingly be finished with your new resume in about 45 minutes. All you need is a small amount of time that you have dedicated to yourself in getting this project completed. I recommend your desktop as a perfect place to save the file from this website. Locating it for later editing is great time saver so there is no searching around for it. 100's of different way to add us now.. 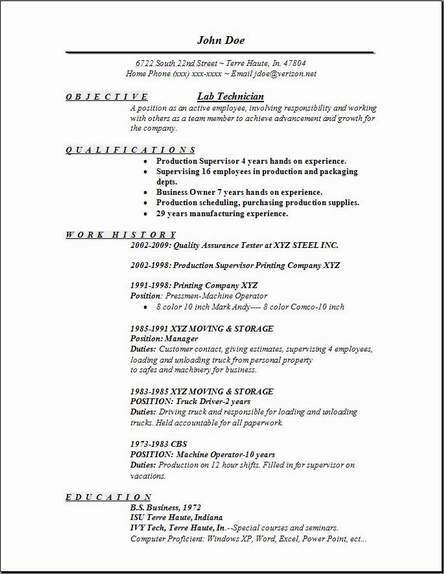 Yes, you can start editing this resume right away using your very own information. To change the look, you might want to explore some different resume pages on this website. So after you dowload, visit other pages, then look at their examples, combine the suggestions by adding them to what you just downloaded to create you new unique resume. Working as a medical laboratory technician, you'll probably work under the close supervision of a medical technologist to perform tests on tissue, blood and body fluids. Helping doctors perform their initial analysis of patients. 1. You will be preparing blood, tissue and urine specimens for specific analysis. 2. Using very sophisticated equipment you will make examinations of the samples for parasites and bacteria and also other micro organisms that may be present. 3. You will be monitoring the tests and also any procedures that are performed. 4. You will analyze the chemical make up of fluid samples. Perform matching of blood types and chemical make up for use in patient transfusions. 5. Perform testing for prscribed drug levels and types that are present in their blood helping to analyze how a specific patient is progressing and responding with their treatment. Quite often, move on to research and development departments of large pharmaceutical companies. You must have your GED or high schools diploma, but also in addition you'll need to sign up and complete a professionally accredited medical lab tech program. This is a 1 or 2-year associate degree or possibly a certificate program. During the course of training programs, all students will receive different combinations of classroom training and then laboratory instruction. Laboratory mathematics, Chemistry, Microbiology, Pathology, Microscopy, and Immunology. Other various courses will be thrown in with the mix, but you get the general direction of studies. 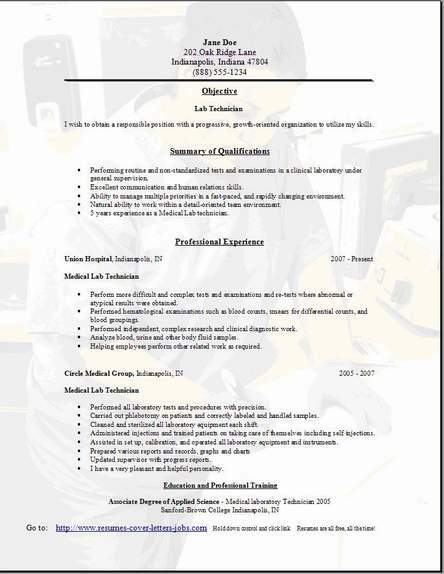 Make sure you add all of these to your lab technician resume after you complete them.